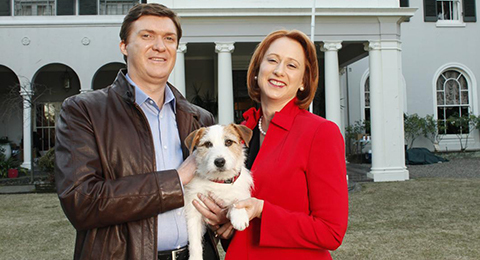 At Home with Julia takes viewers into the life of PM Julia Gillard and boyfriend Tim Mathieson, behind the closed doors of The Lodge. How do Julia and Tim find ‘couple time’ amid Independents crashing Date Night, Julia’s security detail constantly suspecting terrorist plots against her, and non-stop unsolicited advice from Paul Keating? This entry was posted in Television on December 20, 2012 by admin.